Brenda with a 43 3/4" er in 2006. A crazy creeper caught this 27# class 44" fish for Brenda on 10-9-2005. Brenda's 30#er that she caught on 8-29-2006. 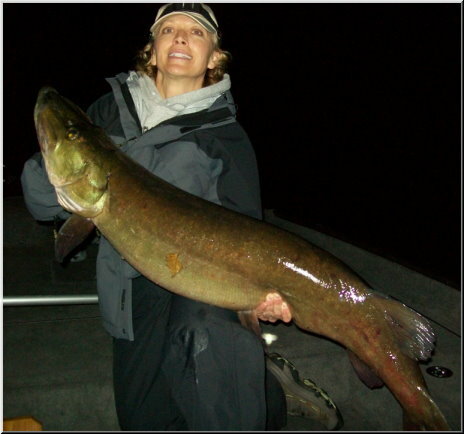 Cathy Szczepanski with a 43 1/2" 26# class beuaty. September of 2006.